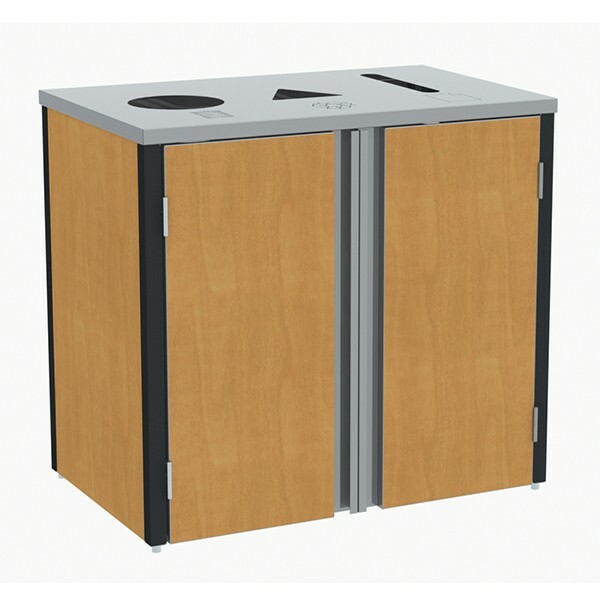 Waste and Recycling Stations combine attractive functionality with the durability of stainless steel. 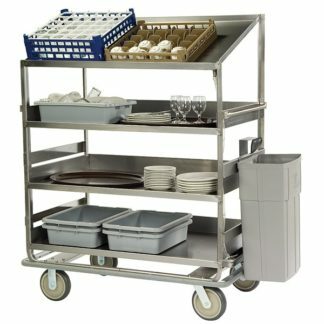 Durable stainless steel construction for easy-to-clean applications. 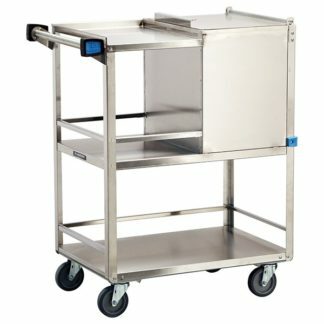 Front or top-access styles available. Leveling feet provide easy floor leveling. 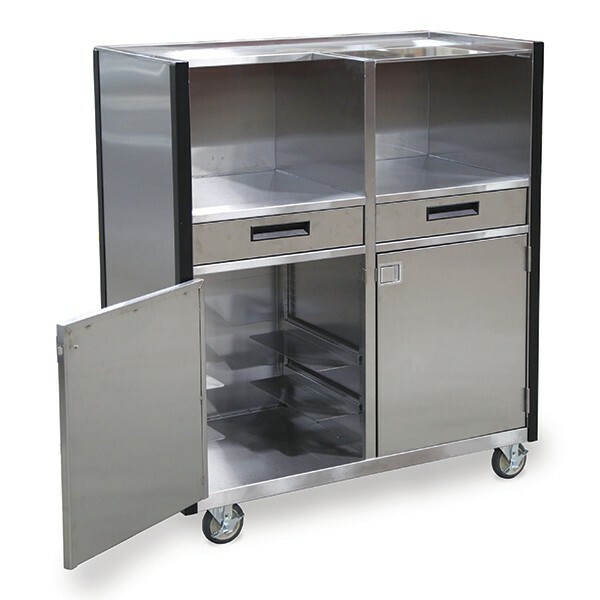 Cabinets include stainless steel floor to protect carpeted facilities. 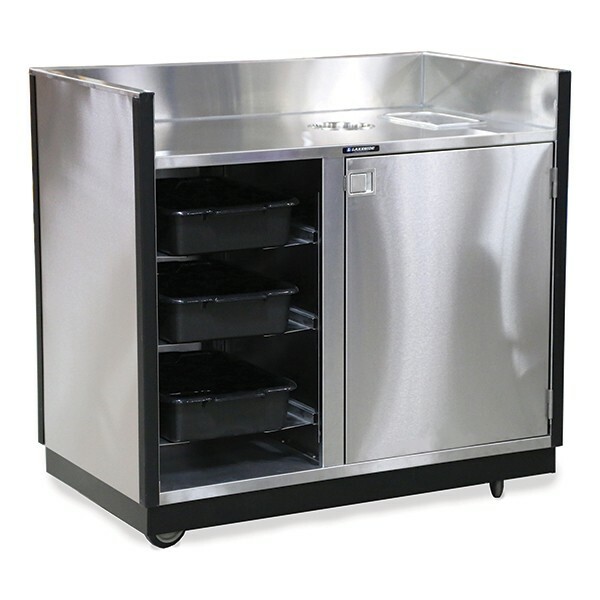 Liquid/Cup refuse units include 7-gal sealed receptacle to prevent spills as well as recessed drainage sink to minimize dripping and spillage.